Editorial Brain & Mind magazine: What is Mind? 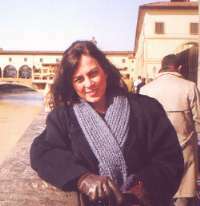 Author: Dr. Silvia Helena Cardoso "I very much like your Editorial "What is Mind". I'd like to quote some of it in my new book". Full Professor of MIT (Massachussets Institute of Technology). Author of Society of Minds. "Wonderful definition on brain and mind. I took a copy and I intend reading it in the introduction of my new course on Neuroanatomy". RealAudio 8.0 installed into your Web browser software. Please click here in case you don't have it and need to install the plug-in. The brain, although being the most complex structure existing on Earth - and perhaps in the Universe - is a well-defined object: it is a material entity located inside the skull, which may be visualized, touched and handled. It is composed of chemical substances, enzymes and hormones which may be measured and analyzed. Its architecture is characterized by neuronal cells, pathways and synapses. Its functioning depends on neurons, which consume oxygen, exchanging chemical substance through their membranes, and maintaining states of electrical polarization interrupted by brief periods of depolarization. But... what about the mind? It is amazing to verify that even after several centuries of philosophical ponderations, hard dedication to brain research and remarkable advances in the field of neuroscience, the concept of mind still remains obscure, controversial and impossible to define within the limits of our language. One strongly held view is that the mind is an entity distinct from the brain; this speculation has its historical roots: the early theories, termed dualistic hypotheses of the brain function, which stated that the material brain can be viewed mechanistically but that mind is some entity with different and undefined physical character. In such theories the mind was seen as synonymous with the soul, forming an integral part of the prevailing religious culture. For example, René Descartes (1596-1650) the french philosopher, perpetuated Plato's (428-348 B.C.) mind-body dualism philosophically separating the mind and the body (1). He stimulated the debate "How does the non material mind influence the brain and vice versa ?" His ideas permeated philosophical and scientific views right up to the present day, changing the way in which mainstream research approached the problem of self. Since the mind and brain were now usually viewed as isolated entities, research into these areas was inherently separate; biochemists concerned themselves with objective somatic mechanisms, psychologists wrestled with the subjective properties of the mind; philosophers and theologians carried with them the spirit and soul. Mindis a definition which tries to rescue the essence of man. The essence of a person arises from the existence of mental functions which permit him or her to think and to perceive, to love and to hate, to learn and to remember, to solve problems, to communicate through speech and writing, to create and to destroy civilizations. These expressions are closely related with brain functioning. Therefore, without the brain, the mind cannot exist, without the behavioral manifestation, the mind cannot be expressed. Spirit and soul seem to be religious and metaphysical interpretations of the mind. Neuroscience has understood the brain and the mind as a result of experimental investigation. Acceptance or rejection of the existence of the spirit and soul depends on faith and religious conviction, which cannot be proved or disproved by experimental methods. It seems to be more coherent to think that beliefs are dependent on physiological activity of the brain and of our cultural environment. We cannot have religious concepts if we do not have a functioning brain (e.g., as when the brain activity is blocked by coma or deep anesthesia) and we cannot believe in things which we do not learn, hear, or experience. It is not impossible to think that some people can "learn" to believe in the existence of God, life after death and supernatural forces because the brain is provided with emotional centers in order to satisfy psychological needs. I frequently ask myself: "Is there any brain region involved with mystic-religious experience? Could either lesions or absence of those regions abolish religious beliefs? Or, on the contray, could "electrical storms" (hyperstimulation of neuronal circuits) provoked by psychotic or epileptic seizure be acting on specific brain circuitry that processes a possible religious feeling?" Scientists are generally reluctant to combine experimental work with philosophy and usually reject consideration of possible theological implications of their studies. However, a few studies in this field have begun to appear. Saver & Rabin (2) found that clues to the neural substrates of religious experience, near-death experiences and the intake of hallucinogens may be deduced from limbic epilepsy (the limbic system is described as the emotional system of the brain). Ramachandran (3) reported that patients with temporal seizures (the temporal lobe is involved with many complex functions including emotion and memory) sometimes experience God and religious ectasy during seizures and are intensely religious. Assal & Bindschaedier (4) reported a case of religious delusion in a 39-year-old woman who had suffered a head injury with right temporal concussion 13 years before. Few neuroscientists, such as the Nobel Prize recipient Sir John Eccles, asserted that the mind is distinct from the body, but most of them now believe that all aspects of mind, which are often equated with consciousness, are likely to be explained in a more materialistic way as the behavior of neuronal cells. In the opinion of the famous neurophysiologist José Maria Delgado (5) "it is preferable to consider the mind as a functional entity devoid of metaphysical or religious implications per se and related only to the existence of a brain and to the reception of sensory inputs". If the brain has explained the mind, how to explain mental events as being caused by the activity of large sets of neural cells? Neuroscientists, timidly, have begun to combat the idea that this question is either purely philosophical or elusive to study experimentally and have been approaching the problem scientifically. They have begun to gain some understanding of possible brain mechanisms that may underlie the most complex process in human behavior and experience, such as the phenomena of consciousness, attention and thought. Certainly, one of the most remarkable examples to illustrate the relationship between the brain and the consciousness are the findings which state that there seems to be "two brains" in each head (6), that is, each hemisphere (each half of the brain) is anatomically a mirror image of each other, since most structures are present in both sides and they communicate by massive bands of fiber systems. Functionally, however, each hemisphere has its own areas of mental specialization, a phenomenon we call "brain lateralization". For example, the left hemisphere is involved in highly verbal and rational functions, while the right hemisphere is related to artistic and spatio-visual functions. The interconnecting fibers play an important role in coordinating the activities of the hemispheres; their lesion may cause the individual to behave as if the two hemisphere were responsible for two separate consciousnesses, as firstly noted by R. Sperry (who was awarded the Nobel for that). In other words, if the "bridge" between the two hemispheres is destroyed one half of our brain cannot know what the other is doing. Another significant finding in neurosciences is the correlation of mental events such as learning with chemicals and structural changes of the nerve cells (7). Currently, we know that in our brain new neuronal branches growth in response to environmental and cultural diversity, that is, to training and experience. Each neuron seems to contribute to many behaviors and mental activities. Modern techniques are now beginning to reveal how the brain accomplishes the remarkable feat of learning. Networks of artificial neurons on conventional computers are helping to explain the ability of the brain to process and to retain information. Also, modern cognitive sciences, which use a vast array of new techniques, are being able to study objectively many components of mental process, such as attention, awareness, visual cognition, language, mental imagery, etc., and are being correlated with neural activity by means of computerized functional imaging and are now open to scientific investigation. Finally, we realize not only the brightness and fascination exerted on us by human mental functions, which is responsible for the creation and evolution of our society, but also by the darkness and despair of mental dysfunctions, which destroy and affect the internal and external environments of the human being. Also in this field, the impressive advances in neuroscience and genetics are revealing the anatomic, biochemical and hereditary bases of schizophrenia, mania, affective and mood disorders, anxiety, intellectual deficits, memory disturbances and many other (8, 9). In conclusion, more and more we are realizing what so many influential philosophers and theologians of past centuries could not understand: that the brain is complex enough to account for the mysteries of learning, memory, emotion, creativity, consciousness, mystical-religious experience and madness. If we agree to think about the mind as it were a set of mental functions rather than a spirit, soul or immaterial substance, it will becomes easier to get on with the necessary empirical studies and thus substantial progress could be made not only in the search for the nature of man as a cognitive individual, but also in the alleviation of mental ills and in a better understanding of cultural and religious beliefs, which, along so many centuries have brought great pleasures - and afflictions - to Humankind.